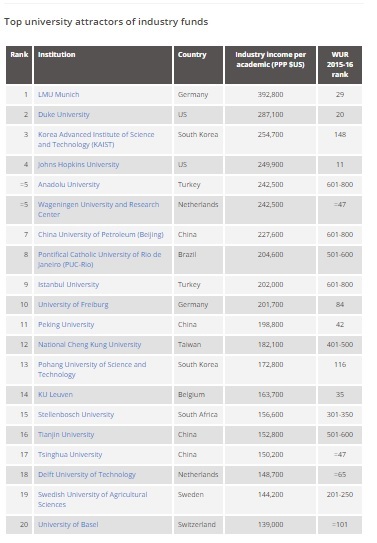 Germany’s LMU Munich receives more industry funding per academic than any other institution in the world, according to Times Higher Education’s new Funding for Innovation ranking. The university has topped a list of the world’s best 20 institutions based on their ability to secure research money from the private sector. It secured almost $400,000 (£288,500) per academic from businesses in 2013.